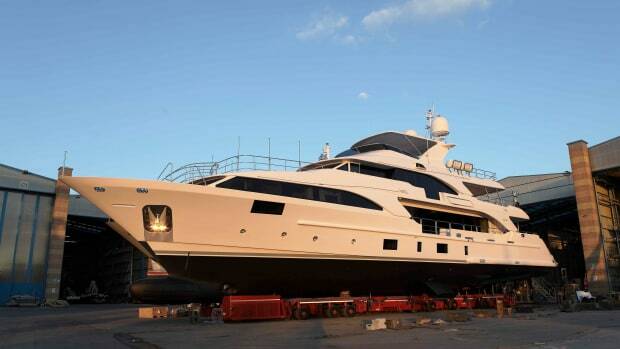 The 163-foot Project Blake is Benetti's largest GRP hull and aluminum superstructure launch to date. 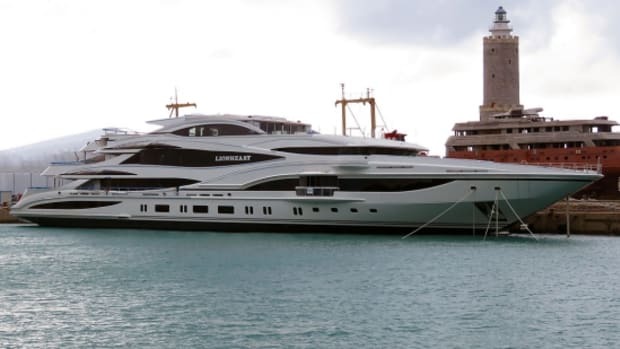 Benetti, at a ceremony with approximately 300 guests, launched its largest-ever yacht with a GRP hull and aluminum superstructure. 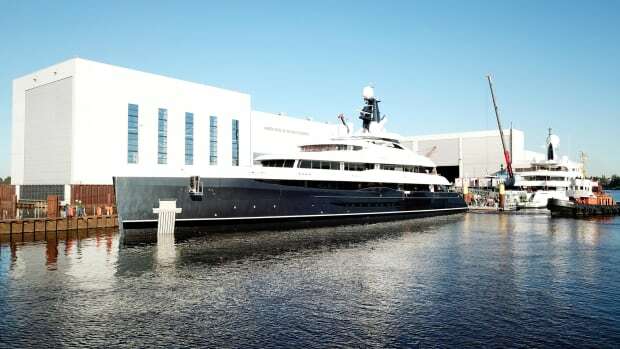 The 163-foot (49.8-meter) custom motoryacht Blake has an interior by Bannenberg & Rowell Design. Four guest staterooms are on the lower deck, while the master is forward on the main deck. The upper-deck lounge converts to a VIP stateroom. The yacht’s swim platform serves as a beach club with a stern door that opens to create a terrace. 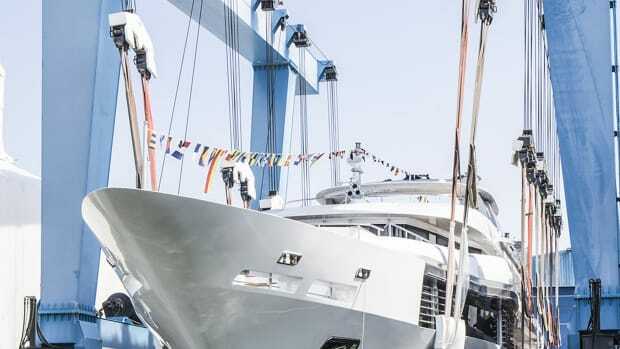 In the presence of 300 invited guests, the 50-meter Full Custom Mega Yacht M/Y Blake was launched from the slipway at the Viareggio shipyard, ready to set off in comfort and silence on the long cruises she is designed for. 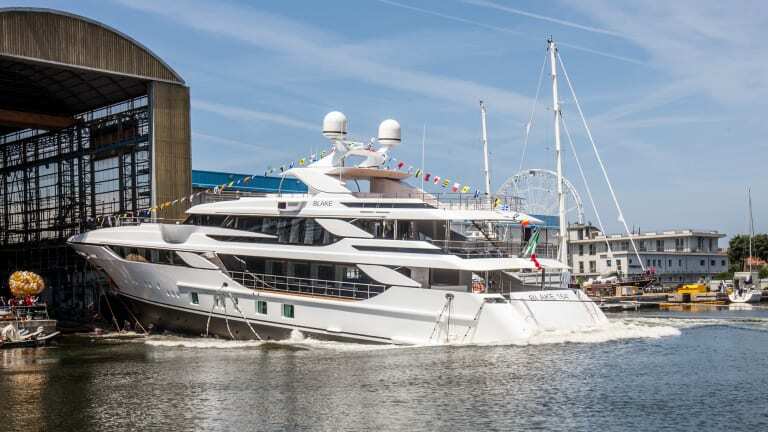 Benetti is proud to announce the eleventh slipway launch since 1999, year of construction of Via Coppino shipyard, in Viareggio. 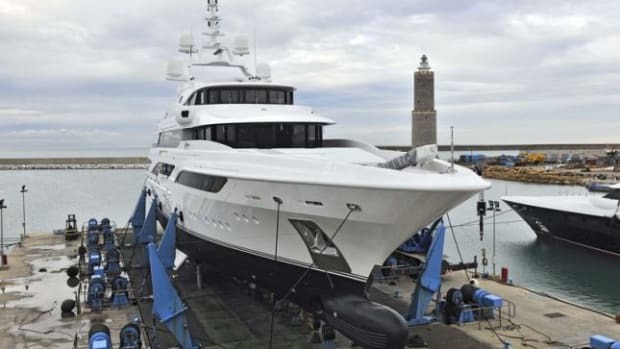 Blake, the longest GRP hull and aluminium superstructure yacht ever build by Benetti, raised her first waves with an impressive dive from the 8%-gradient slipway at the Viareggio production facility. 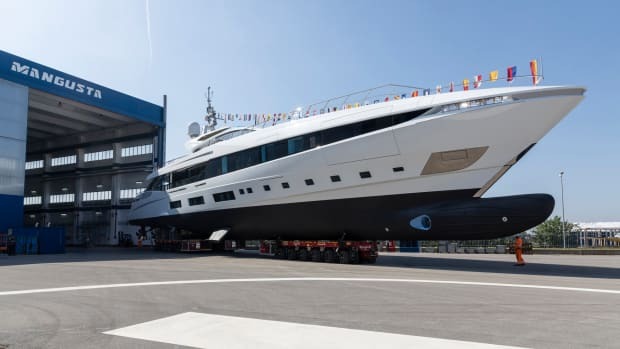 The shipyard is the only one in Italy equipped to handle this particular type of launch ceremony, for superyachts between 40 and 50 meters in length, max draft of 2.6 meters and weighing up to 350 tons. 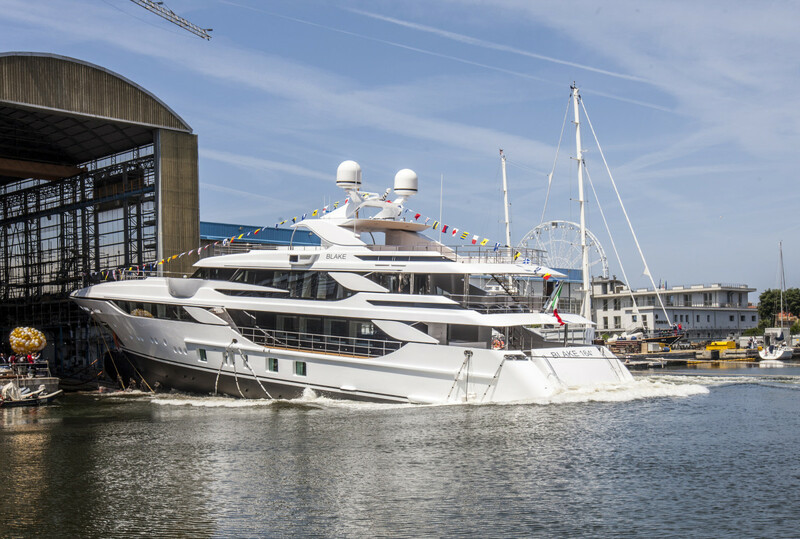 As the company did back in March 2016, when the 45-meter Full Custom Mega Yacht M/Y Domani hit the water for the first time from the same slipway, Benetti once again invited over 300 guests to this unusual ceremony, including local authorities, friends and employees, who enjoyed the event together with a large crowd of curious who made their way to the Darsena Italia docks. Blake has a distinctive interior layout, featuring exceptional livability, designed in partnership with London-based firm Bannenberg & Rowell Design. 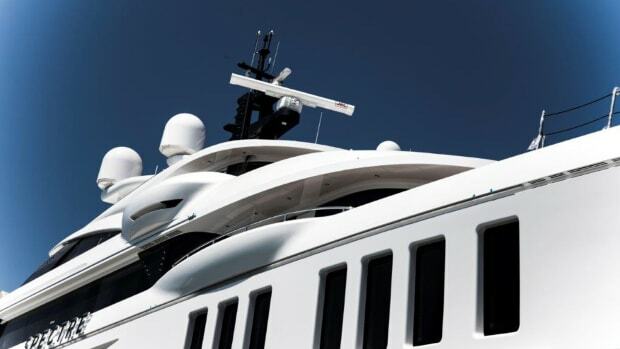 Her remarkable habitability, impressive range (4,000 nautical miles at 11 knots) and low level of noise and vibration make the yacht ideal for spending long periods on board in total comfort. 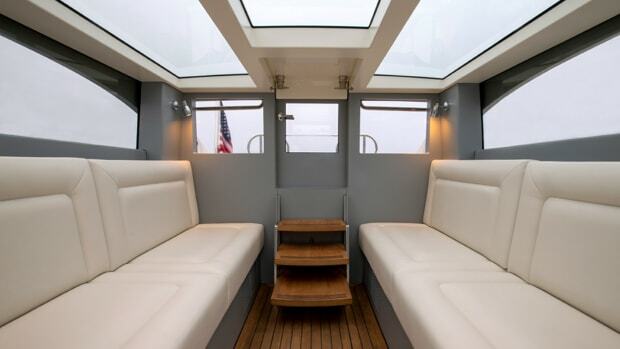 The guest area on the lower deck occupies a surface area of 310 square meters and offers four cabins. In addition, the lounge on the upper deck can be transformed into another VIP cabin. The sundeck has a large area for socializing and the spacious owner’s apartment is forward on the main deck. The two Caterpillar C32 Acert engines each produce 1,193 kW, delivering a cruising speed of about 14 knots and a top speed of 15.5 knots. 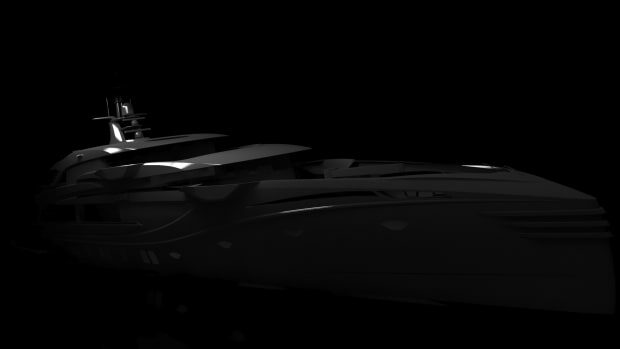 At a cruising speed of 11 knots, the yacht has a range of 4,000 nautical miles.